Nicole joined the Dallas Regional Chamber in December 2016 as the Vice President of Events. In this role, she oversees 200+ yearly events. 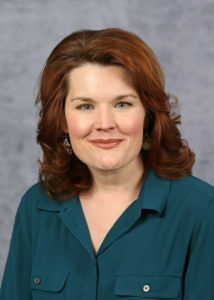 Prior to joining the DRC, Nicole worked at Crowdsource, the events division of The Dallas Morning News, on community-facing events like The Dallas Festival of Ideas, Actions Speak Louder forums, Aurora, EarthDay Texas, editorial initiative The Pulitzer Prize Centennial Celebration, and One Day University. From 2006-13 she worked as a tour manager across North America for William Morris Endeavor and Harpo Productions on Oprah Winfrey’s The Life You Want Weekend and on the largest women’s event in the world, Women of Faith. Nicole holds a Master of Divinity from Golden Gate Seminary and Bachelor’s degree from Baylor University. She volunteers in Dallas with YoungLife Capernaum and is active at Shoreline Church.